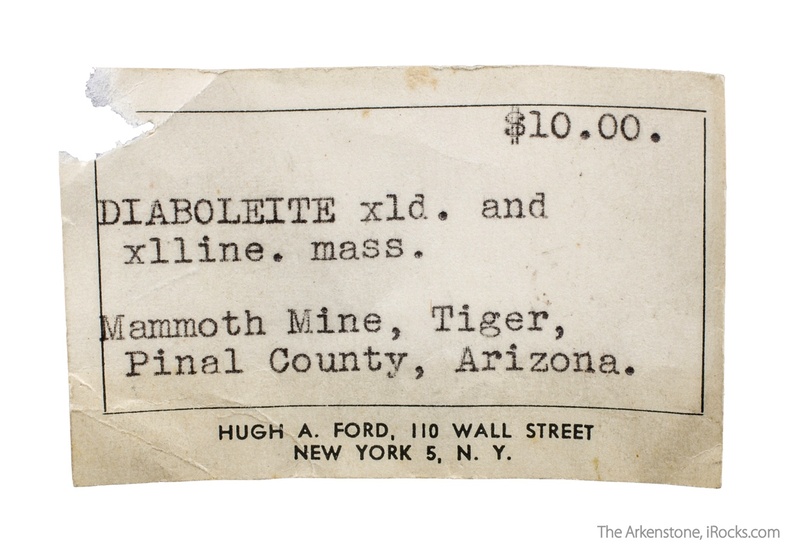 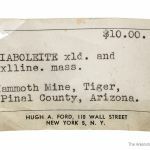 This is an important, very rich specimen of one of the ultra rare Arizona classics: a rare, lead, copper, chloride. 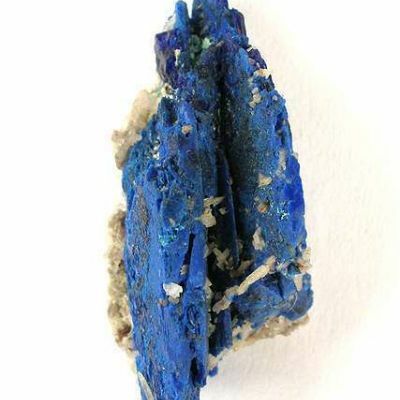 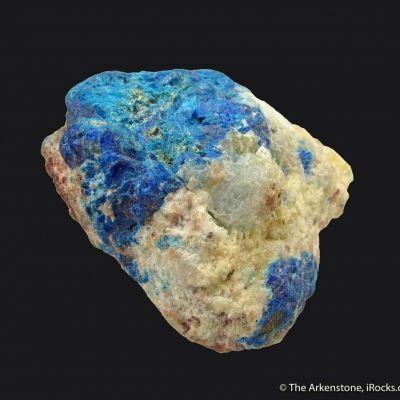 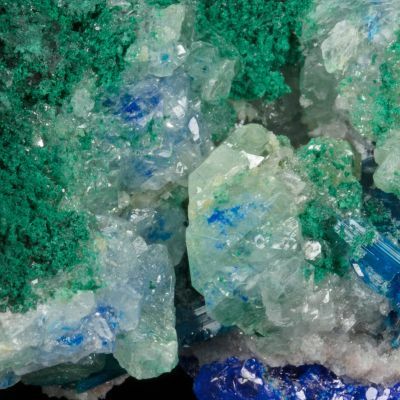 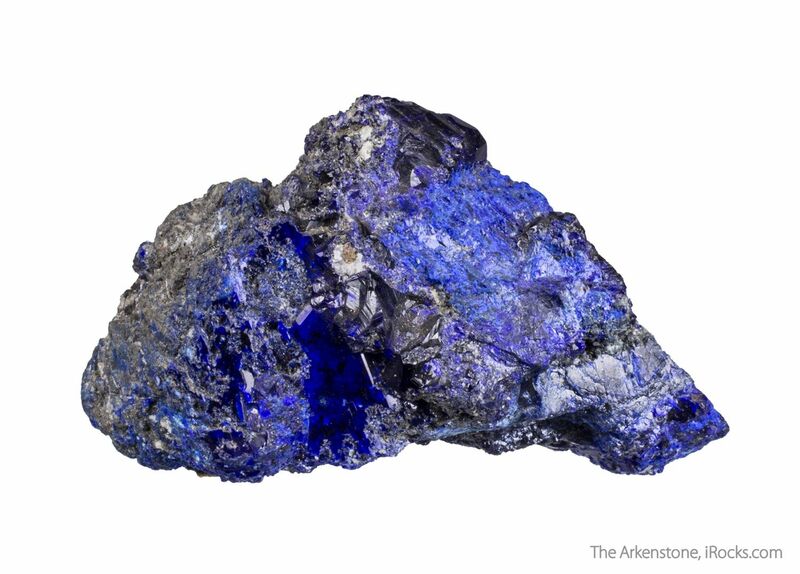 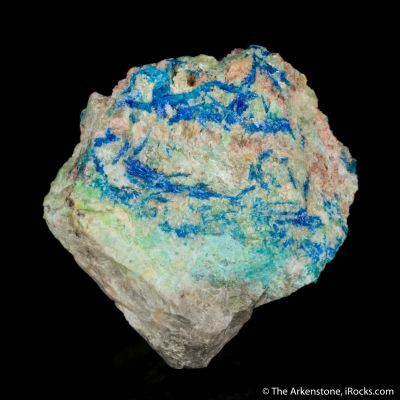 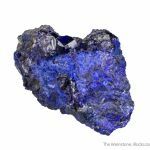 It is a colorful ore matrix highlighted by a lustrous, deep neon blue crystal measuring 1.5 cm in length. 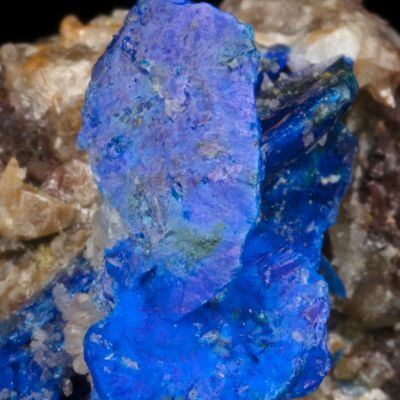 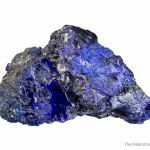 There are also a few lustrous rich blue azurite crystals that reach 6 mm in length, perched atop. 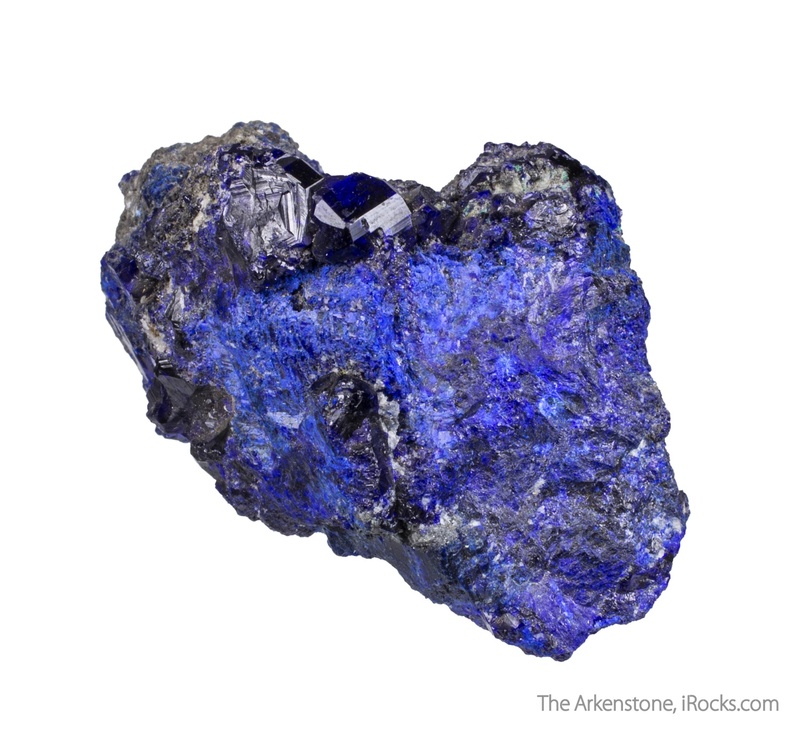 For overall richness and size, this is a rare old classic, and actually of display quality.